Bounty hunter Jack Walsh hunts down an ex-mafia accountant whilst avoiding the FBI, the local police and the mob. 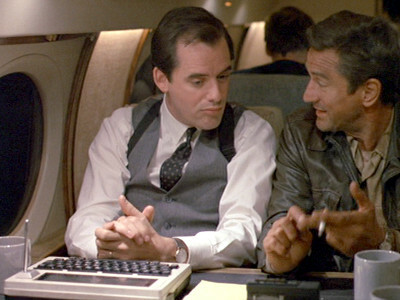 An FBI agent has a TRS-80 Model 100 with him on the FBI's private jet. 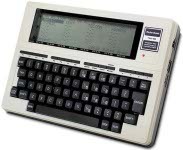 This Model 100 seems to have grown some sort of antenna in place of the name plate.